I have a history of commenting on mixed race couples in the media. It started with my blog post about the 2012 Olympics Opening Ceremony, in response to a Mail Online article, which thanks to the pressure we applied, got taken down. It was offensive, out of touch, racist and factually incorrect. 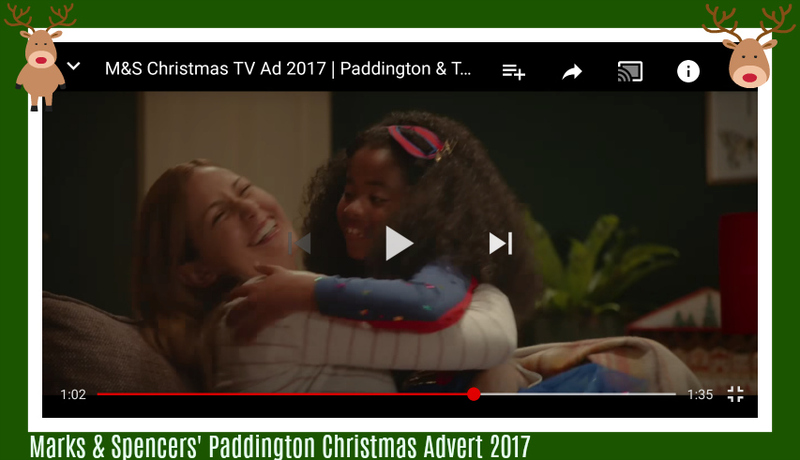 A few days ago I couldn't help but notice that a few of the big players, namely Debenhams, John Lewis and Marks and Spencers have featured mixed race couples in their Christmas 2017 TV adverts. I was going to blog about it but thought better of it, until tonight the hubby said perhaps I should. Despite it being after midnight I couldn't get my laptop out quick enough. Debenhams was the 1st one to come to my attention as part 1 was televised early doors with a cliffhanger and the promise of part 2 midnight Thursday night. To make sure you watched it Friday it was even splashed in print, across the front cover of our free inner city paper The Metro on Friday morning. I love the voice over by the "fairy Godmother" Ewan Mc Gregor and I get the impression that him playing with the street lighting is what gives fate a helping hand to ensure Cinderella meets her Prince. Ewan McGregor plays a pivotal role in the You Shall film, which takes inspiration from Charles Perrault’s classic 1697 fairytale, Cinderella. Meanwhile, the limited edition stiletto by Jenny Packham is available for £99 and comes complete with a signed card by the designer. What I love about the Express article I've linked to above is the fact that the couple being mixed race isn't even note worthy or commented upon. Maybe diversity is now normal and not remarkable. Even the tweets they've quoted just comment that the advert beats John Lewis and the only remarkable thing seems to be the inclusion of Ewan McGregor. His voice is as smooth as caramel though! But inclusion and being inclusive yay! Ticks all the boxes. Both of the actors seem to have quite a small following on Twitter, so give them some love. CJ Beckford plays the Prince and Steph Tat plays Cinderella. There's EVEN a real life couple who look just like the Debenhams couple and they are getting MARRIED, so that's part 3 of the romance right there. The John Lewis advert is beautiful as usual. Stunningly shot and the right amount of emotion to make you go ahhhhh. I've watched it a few times and Lottie adores the monster who makes her laugh more than I have ever actually seen her laugh. A right hearty belly chuckle. I clicked on the section for shop the advert and 100% I am getting those PJs for my 2, just not sure whether to get them matching ones or red for one and navy for the other. I love that the advert includes a boy and a girl which is very relatable for me with my Lottie and Aaron. I also love that the kids are dark and not that stereotypical light skinned caramel that's become so tokenist and commonplace in the media. Yes we all know that mixed race babies are beautiful but let's not perpetuate the stigma that lighter is better, there are far far too many people in the world using skin lightening products harmfully on their faces and it absolutely breaks my heart. Let's inclusively celebrate every colour - we're all humans after all. We didn't get to see Paddington at the cinema but a few years ago the very day it came out on DVD I bought it. We watched it once and due to the "scary lady" Aaron never let me watch it ever again. But the second they started showing trailers of Paddington 2 Aaron dug out the DVD and we've already watched it twice and I do plan this time to take my 2 to the cinema to see the second film. We were going to go yesterday but had a PJ day instead. So when I first watched this Marks and Spencers advert all I noticed was Paddington and I thought how clever of the store to collaborate with him. I was colour blind to the mixed race family (it being so normal for me, having been with my husband for 29 years since 1988) but upon watching the advert a 2nd or 3rd time I noticed. Again I was delighted to see (as you can see above) that the little girl is darker. It's neither here nor there really. Even in my own nuclear family I have Aaron who is so pale he actually only goes brown in the sun and was snow white at birth and then my Lottie who was already brown in the hospital. Despite having identical parents they have such different colouring. Aaron takes after me, Lottie takes after her Dad. It seems to feed through to their personalities too and even their bone structure. I love everything about my Lottie. I see so much of her Dad in her and she's an embodiment of our love. So paler, browner, whatever. 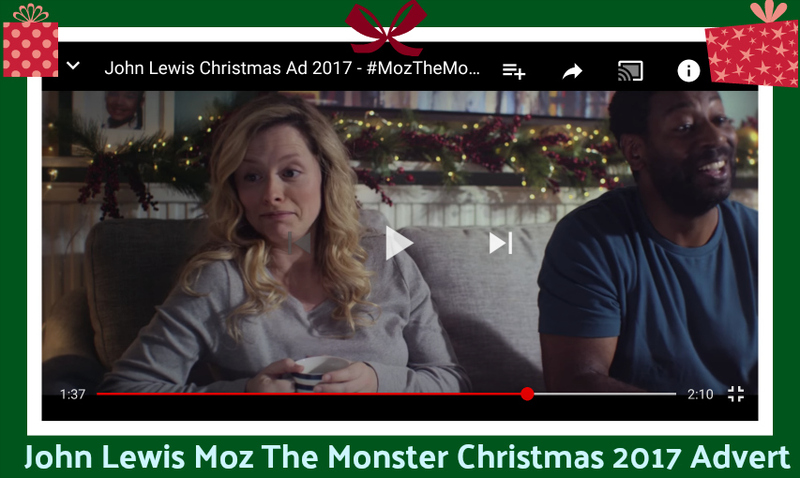 I just can't help but notice the colour of the actors/actresses used as it's been commonplace to include mixed race kids in marketing for quite a few years now but they're always pale or so it seems to me. But with all of these adverts maybe we're making some headway into normalising the fact that couples can come from differing backgrounds. Despite my husband's parents being Nigerian and mine Irish we actually have way more in common than we have differences. We were both raised in North London, both as Catholics, same school, same University and a lot of the same family values. Sorry I am not saying more, or getting a bit academic in this post but it is now 1:48 a.m. and I have church early in the morning. I've spent so long editing and sizing the screenshots and including the videos that I've not spent much time on the text of the blog post itself but perhaps I can edit and update it a little tomorrow evening. I'm calling tomorrow Sunday despite it technically being Sunday morning NOW.......... yikes! Sleep beckons.